ADD 35"X70" MATCHING BATH SHEET? TOWELS: Get your American Made Towels here. From 1888 Mills in Griffin, GA. These are the last 100% American made towels...really! And they can be yours. 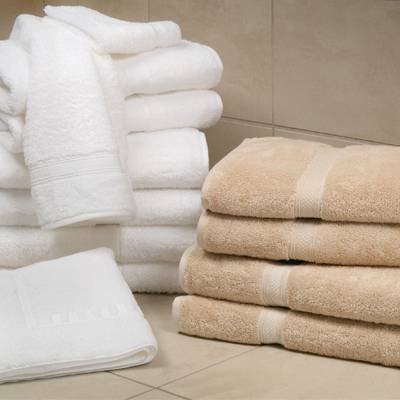 All towels are available separately and we have also put together two different complete sets, the Elite set and the Deluxe set. Two colors available: Natural Linen and White. Flat Rate shipping does NOT apply to the Deluxe Set. Shipping towels is substantially more expensive due to weight and size. Please call Strictly USA for more information. NEW: An optional super sized BATH SHEET may be added for $27 (normally $32). Bath Sheet is 35 X 70 for folks who like a larger luxurious towel. Limited stock on bath sheets--first come , first served. *bath mat is not the carpeted type with the non-slip rubber backing that you're used to seeing at the big boxes--it's similar to a heavy duty towel see picture, but still exactly matches set). Try This: put your brand new made in USA bathmat over an old style bathmat. You get the comfort and the aesthetics. This is what I do. It works great! These are very nice quality. I like a towel that is substantial but does not take forever to dry and these towels fit the bill. Thank you for a quality American product! Very soft towels! 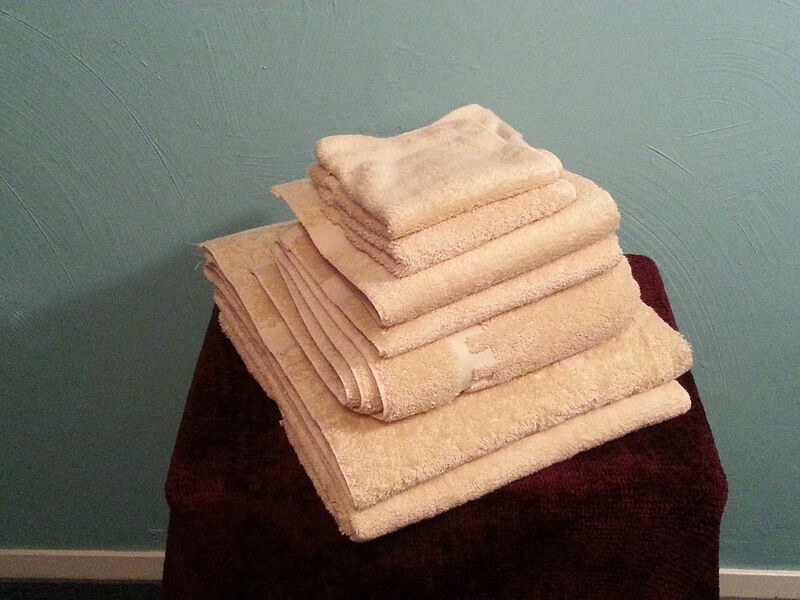 I purchased these towels because of the great reviews and because they are made in the USA. 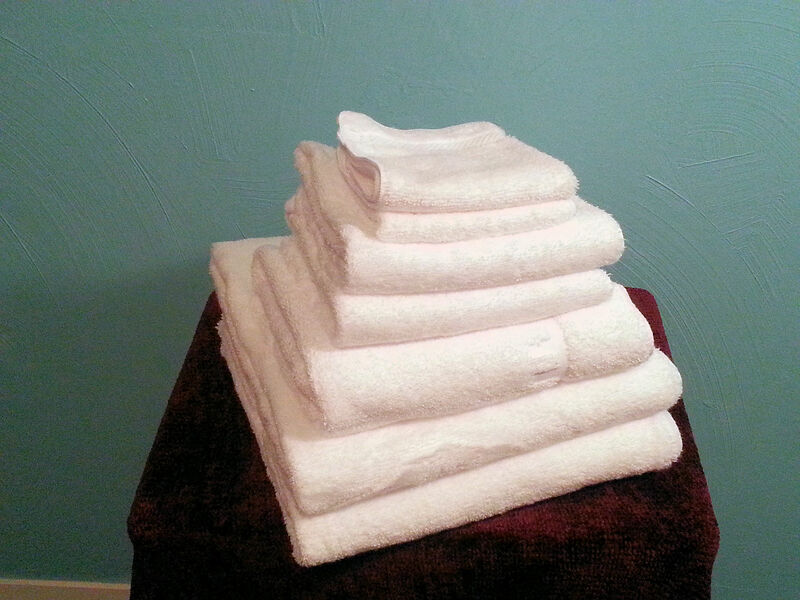 These towels are made of 100% Pima cotton which is high quality cotton. 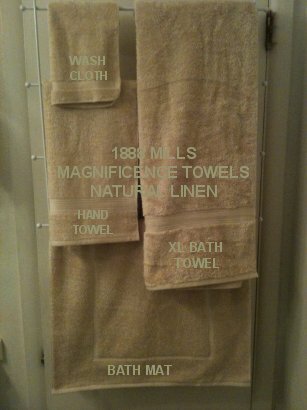 I will be purchasing more 1888 mills towels to replace all of the towels in my house. These towels are well made, soft, and absorbent. Best of all, made in the USA! Great customer service. Would recommend to anyone looking for great towels, made in the USA! ALEX SEZ: Received my 1888 Mills towels the other day and although I was already squeaky clean, I just had to take another shower so I could try them. Awesome! Very soft and comfortable. Absorbent. The pima looped cotton is sturdy and the craftsmanship is excellent. What a difference compared to the imported towels and the price is pretty competitive. Help us support American manufacturing by buying some American made towels from 1888 Mills. No, I don't know why they're called 1888 Mills, but I'll find out.